Amit Saxena has been appointed as the new Regional Sales Manager for North India by the Volk and Keeler team in India. Volk Optical, US is an innovator in the design and manufacture of diagnostic and surgical ophthalmic lenses and equipment. Keeler, UK specializes in diagnostic and magnification products for professionals in the ophthalmic and healthcare industry. Amit will be responsible for both Volk and Keeler products all across the northern states of India i.e. Delhi, Uttar Pradesh, Rajasthan, Haryana, Himachal Pradesh and Jammu & Kashmir. He joins the Volk and Keeler national team which is headed by Mahadev Dhuri and growing aggressively year-on-year. Amit brings a wealth of experience in ophthalmic products to the role. After completing his BSc from Bareilly College and Post Graduate Diploma in Office Management and Secretarial Practice, he has worked for various reputed firms for over 16 years in the medical field with a special focus on ophthalmology. In his previous stint at Abbot Medical Optics, he was working as a key accounts manager. He has previously worked with companies like Alcon, FDC and Alkem Labs. His experience in selling ophthalmic products will be of great help as he looks forward to provide full attention to the North India market combined with his love to travel places and meet people. At Volk and Keeler, Amit will be focusing sharply on the ophthalmology markets, promoting Keeler’s range of ophthalmoscopes, retinoscopes, indirect ophthalmoscopes, non-contact tonometer, cryo-surgery unit, slit lamps, applanation tonometer, and loupes as well as Volk’s product range comprising of non-contact surgical systems and portable imaging camera. 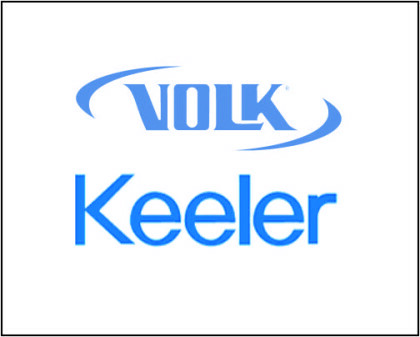 Volk and Keeler are Halma companies. Halma, the leading safety, health and environmental technology group is a public company listed on the London Stock Exchange and has around 5000 employees in nearly 50 subsidiaries worldwide. Halma’s subsidiaries make products that protect lives and improve the quality of life for people through innovation in market leading products which make its customers safer, more competitive and more profitable. These subsidiaries are assisting India’s economy in areas such as energy, manufacturing, healthcare, water and waste treatment, construction and transport. Halma has an office in Mumbai and Vadodara.